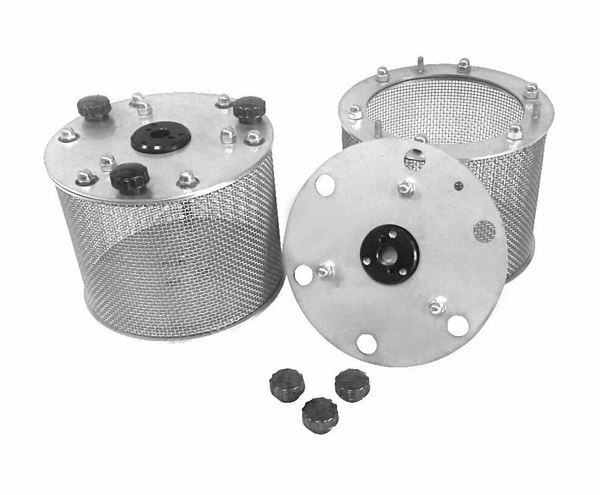 Wire Mesh Drums for Slake Durability Device - Gilson Co.
SAA-31 Wire Mesh Drums for Slake Durability Device are available as a set of two, and can increase sample preparation for more efficient testing. Drum diameter is 5.5x3.9in (140x100m) diameter with an 0.08in (2mm) opening. For use with SA-80 Slake Durability Apparatus.